THE STORY - As her 30th birthday nears, sulking Anna still finds herself living in her mother's shed and recording videos. Soon, her budding friendship with an unhappy boy and a smitten young man inspires her to finally grow up and accept adult responsibilities. THE GOOD - Rachel Tunnard presents a story of grief in a way that doesn't lecture the viewer; instead, she's created a poignant story with waves of humor that anyone who's experienced loss can relate to. The performances and chemistry between Jodie Whittaker and Ozzy Myers are unmistakably enjoyable. THE BAD - Follows a relatively basic formula for quirky independent films which some may consider lazy storytelling. ​​Pareidolia, or the phenomena of seeing faces in inanimate shapes and objects, also happens to be a frequent feature found in neurotic people. Anna Cassin is both neurotic and sees faces in objects (including her thumbs). In “Adult Life Skills,” writer/director Rachel Tunnard creates an acoustic and poignant look at grief. Anna, played by Jodie Whittaker, lives in a shed. While that sounds like the start of a joke, there’s nothing funny about it - well, actually, there’s quite a bit of humor about it - however, she lives in a shed due to her inability to move on after the death of her twin brother, Billy. The shed belongs to her helicopter mother, who lives next door with Anna’s grandmother. Anna is eclectic, both in attire and hobbies; she wears shorts over brightly-colored tights and patterned vests, rides her bike to work every morning, and would rather opt for a reliable, classic Nokia than a smartphone. Of course, the most notable thing about her is her penchant for filming short videos starring her right and left thumbs (the setting of which is always in outer space). Anna works at a small boat harbor in the British countryside, where she keeps track of the number of mole holes and is occasionally stuck in awkward conversations about menstrual cycles and cat novels with one of the harbor’s frequent patrons, Brendan. When Anna’s mom decides her daughter needs to move out of the garden shed and back into the real world two weeks before her 30th birthday, Anna is forced to confront her cycle of grief and the idea of continuing to grow up, without Billy. Fortunately for Anna, a saucy youngster named Clint who dresses up like a cowboy every day and has his own grief to work through is just the companion she never knew she needed. Tunnard’s portrayals of the cycle of grief are smartly filmed -- the cinematography changes in pace, from slow and quiet moments of close-up objects and actions, to sped up sequences of dialogue. Grief, as Tunnard relates, doesn’t move in one direction or one speed. It helps that the setting of “Adult Life Skills” is in the dreary, consistently damp countryside where the sky rarely shines and the mud and moss are easier to see than the clouds. Tunnard is adept with focusing the viewer’s eyes to snapshots of Anna’s own memories; glimpses of pebbles, rocks, and Billy’s smile all serve as reminders of the pain she presses down, amidst the wild comments by her spritely friend Fiona and snarky stabs at adulthood made by her mother. There’s a surefire formula to concocting a successful indie - “Adult Life Skills” hits all of the marks. There’s the acoustic singer-songwriter playlist, the Wes Anderson camera shots of a still focus on moving actions, and quirky characters who say and do anything but what you’re expecting them to say and do. It’s typical, but it works. You’ll become enveloped in this strange family’s way of healing. It helps that Tunnard’s script stays whimsical and fun, despite the sad plot. It’s one more way Tunnard is an expert with grief - she reflects the idea that grief comes in backward waves of laughing at sad things and crying at funny things. However, none of these realizations would be possible if it weren’t for the exceptional casting choices. 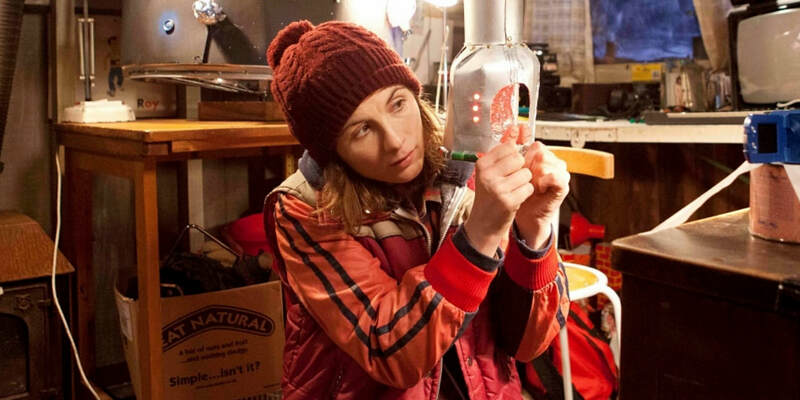 Jodie Whittaker is lovely as Anna and doesn’t shy away from belligerent outbursts or looking chronically sloppy for the film’s entirety. Whittaker imbues Anna with grit and a lovable immaturity that you can’t help but root for. Although, it’s the breakout star Ozzy Myers as Clint that will refuse to let you go. Clint, whose mom is in and out of the hospital throughout the film, is rough around the edges and piercingly inquisitive. Ozzy will pull at your heartstrings as he asks and says exactly what’s on his mind, in a way only kids can. The way Ozzy portrays Clint as multi-layered, longing for connection with Anna while keeping others at arm’s length, is a skill many seasoned actors still struggle to grasp. All in all, “Adult Life Skills” may not be anything special among other independent cult favorites of its kind, but it is special in its own right. Tunnard has managed to wrap up a story of grief in a way that doesn’t preach to viewers or force a certain healing process on the audience. Instead, “Adult Life Skills” represents the idea that grief is interchangeable from one person to the next, whether you express it through dressing up as a cowboy, or drawing faces on your thumbs. It’s all a part of the journey.